Published on April 15, 2014. The National Trust will be holding a commemoration event for the Woodend Avenue of Honour this coming Anzac Day. Some 370 men and four women who enlisted in the Australian Imperial Force for service during WW1 had an attachment to what was then known as the Shire of Newham and Woodend, now part of the Macedon Ranges Shire. In 1918 the community decided to honour these men and women by planting an Avenue of Honour. 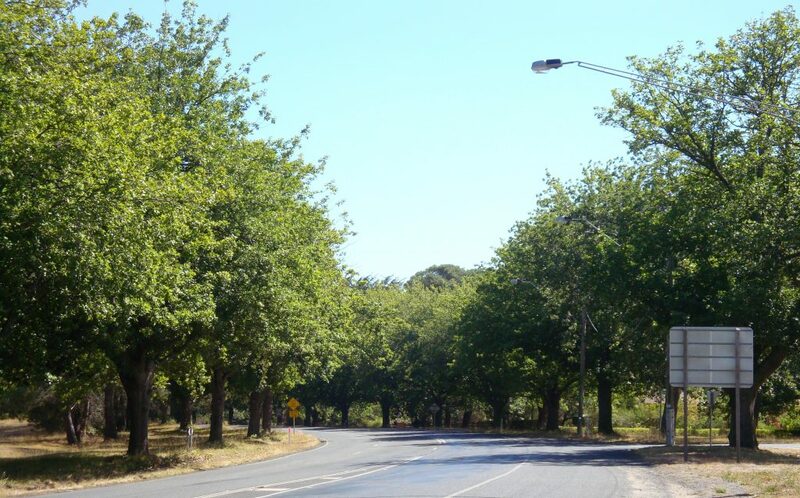 Initially 162 English and Algerian Oak trees were planted each side of the Calder Highway running 2.4km north from the town of Woodend. The trees were dedicated to individuals, 38 of whom had been killed in action. The Avenue was officially opened on 14 September 1918. Each tree had a copper plaque attached with the names of those remembered. Over time many of these plaques were lost or damaged. Many years later the remaining 70 plaques were collected by Woodend RSL for preservation. In 2011 these plaques were restored and mounted on a display panel in the RSL clubrooms along with all 185 names (some additional names from the district were recorded and it is known that some additional trees were planted – Heritage Victoria lists 224 trees). A display of maps, photographs and information in relation to the Avenue of Honour will be available at the club rooms at 32 Anslow Street Woodend on ANZAC Day 2014 after the March and Ceremony. The community is invited to come and see displays by the Woodend & District Heritage Society and local students, and find out more about the avenue and the sacrifices made by those who fought in World War I.